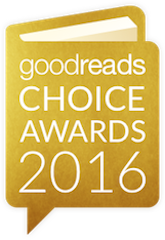 Good Reads – Best Books of 2016 Winners! The winners of the Good Reads Best Books of 2016 have been announced – did your favourite win? Categories included: Fiction, Mystery & Thriller, Historical Fiction, Fantasy, Romance, Science Fiction, Horror, Humour, Non Fiction, Memoir & Autobiography, History & Biography, Science & Technology, Food & Cookbooks, Graphic Novels & Comics, Poetry, Debut Goodreads Author, Young Adult Fiction, Young Adult Fantasy & Science Fiction, Middle Grade & Children’s, and Picturebook. HINT – Click on the category below to see the winner and shortlisted books and click on the title to reserve your copy of the winner now. The Library has all of the winning books and many of the shortlisted ones. This entry was posted in Australian Authors, Awards & Prize Lists, Biographies, Children, Fantasy, Fiction, Historical Fiction, Mystery & Crime, Non Fiction, Reading Lists, Recommended Reading, Romance, Science Fiction by Parra Reader. Bookmark the permalink.